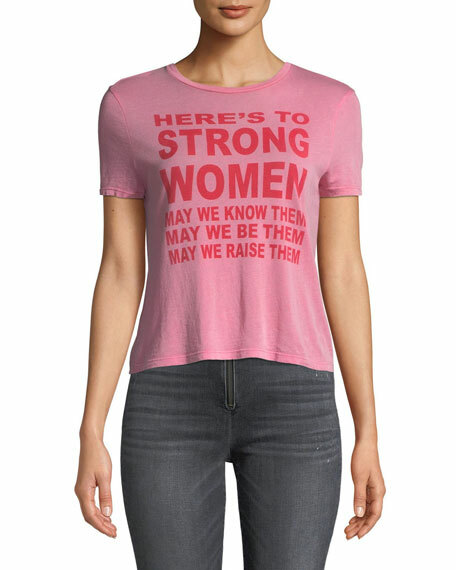 Michael Kors tee in cotton jersey with surfer graphic. 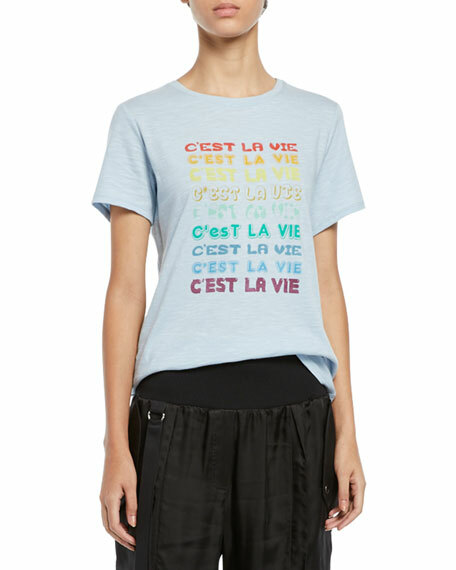 Cinq Sept tee with "C'est La Vie" typographic at front. Crew neckline. Short sleeves. Relaxed fit. Slipover style. Cotton. Machine wash. Made in USA. 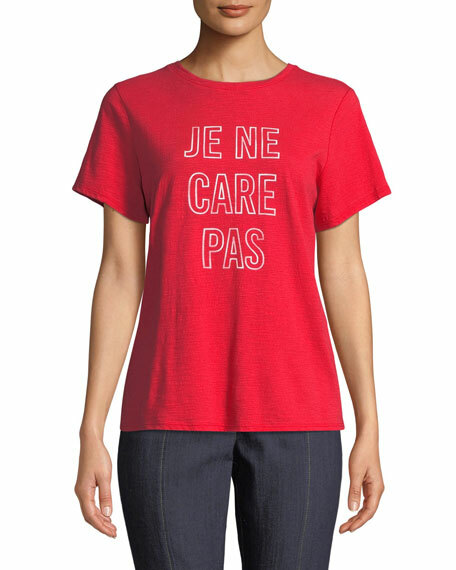 Cinq Sept tee with "Je Ne Care Pas" typographic at front. Crew neckline. Short sleeves. Relaxed fit. Slipover style. Cotton. Machine wash. Made in USA. 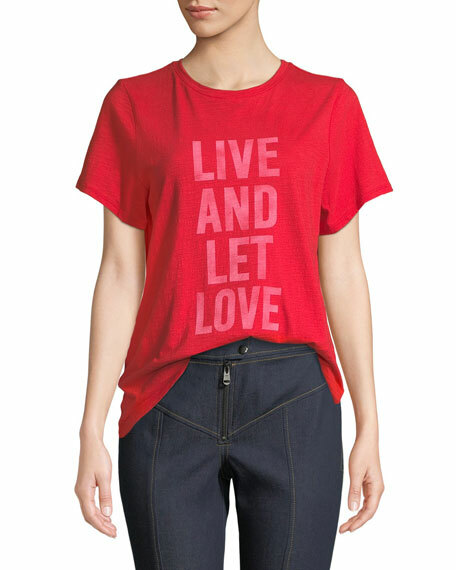 Cinq Sept tee with "Live And Let Love" graphic at front. From the Tous Les Jours collection. Crew neckline. Short sleeves. Relaxed fit. Slipover style. Cotton. Made in USA.